I Was Hit By a Car While Waiting on the Side of the Road. Now What? Home » The Law & You » I Was Hit By a Car While Waiting on the Side of the Road. Now What? While waiting for a tow truck on the side of the road, a car hit a viewer while speeding down the road. Facing surgery, the viewer wants to know what can be done. 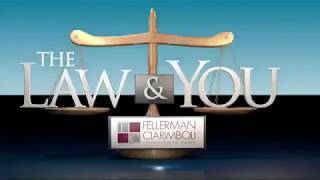 Car accident lawyers Greg Fellerman and Molly Clark offer legal advice. Dave Kuharchik: We’re talking about an incident on Interstate 81. It seems like we hear about then often. We’re back into the Virtual Law Center with attorneys Greg Fellerman and Molly Clark who’s here for Ed. Thank you for being here. Greg Fellerman: Everyone, Eddie is actually working very hard at a trial so hopefully he’ll be back in a week or two. Dave: Well, we know he doesn’t miss the chance to be on TV so it has to be serious. Greg: He loves the TV. Dave: Here’s our question and we’ll go to John in Berwick. John says, “I got a flat tire on 81 and was pulled over waiting for the tow truck to arrive. A car flew by and hit me and took off. I have a separated shoulder and need surgery. What can I do?” John has injuries, apparently, but what does he do given that the car -it’s kind of like a hit and run here. Molly: Yeah, it sounds that way. First thing you need to do is, and I hope you already did this John, let the police know. You need to get a police report right away because that’ll document at least somewhat the fact that he had a hit-and-run and you’re not just making this story up. Sometimes, insurance companies are going to want to think that’s exactly what you’re doing. Hopefully you called the police and there’s a report that says it was a hit and run. It does sound like you’re going to have a claim, being that you have the shoulder injury and you’re going to need surgery, you’re going to want somebody to take care of you. What you can do in that situation is call your own insurance company. Make a claim, let them know what happened and you’ll have what’s called uninsured motorist benefits, hopefully. If you do have those then you can go after those and make a claim for your uninsured motorist benefits. It’s not that difficult of a thing to do. What do you think? Greg: You know, the thing is when you talk about “Hopefully have uninsured motorist,” we talk about it all the time, it’s very important to know what your coverages are and uninsured motorist coverage provisions are important because if you get hit by somebody with no insurance or a phantom vehicle like Molly described, that’s an uninsured claim. People with underinsured means if you get hit by somebody with lower limits or your injuries are bigger than their policy, that’s when that underinsured kicks in. It’s very good coverage for you to have. It’s worth every penny and it’s actually relatively cheap on your policy when you look at the pricing. Dave: Of course, if you need legal advice or direction you could always contact the office or check out Fellerman and Ciarimboli online. Results matter, tonight, with attorneys Greg Fellerman and Molly Clark. Dave: Two ways to get a question on “The Law & You” through pahomepage.com or “The Law & You” hotline.